Kingdom Hearts III Adds Secret Ending! 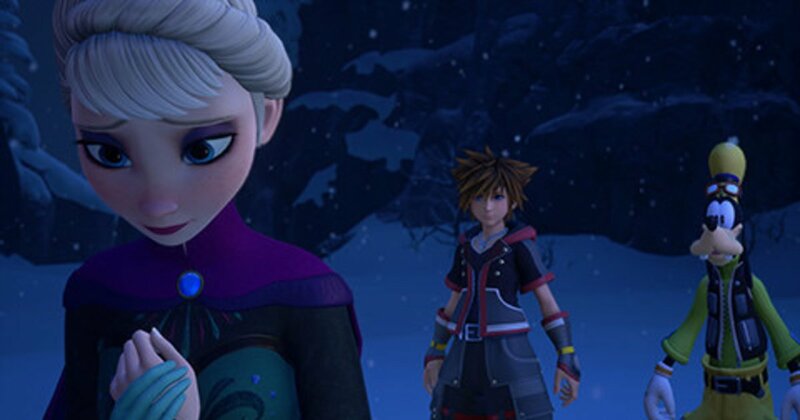 Fans are finally able to access the secret ending of Kingdom Hearts III‘s lost ending with Square Enix’s free update! The movie epilogue was made available on Jan. 31 to players to who have completed the game and satisfied a certain condition regarding its Lucky Emblems. An immersive roleplaying game brought to life by Square Enix and Disney Interactive, Kingdom Hearts first released in Mar. 2002 for PS2. Kingdom Hearts II followed in Dec. 2005, with numerous spinoff and prequel titles also created. The story follows a teenager named Sora, who happily lived on Destiny Islands with his best friends Kairi and Riku until dark creatures called the Heartless ruined his homeworld and separated them. Joined by Donald Duck and Goofy, who had been on their own search for King Mickey, he sets off on an adventure through various worlds that are home to some of the most famous characters and franchises from Disney and Pixar. Kingdom Hearts III is available now for PS4 and Xbox One.